When is the best time to repair your forklift? And after so many repairs and maintenance, when should you start thinking about replacing Old Reliable? OSHA (Occupation Safety and Health Administration) has a handy forklift safety check guide on their website, and many supervisors and company safety administrators use this information as a guideline for their own forklift maintenance schedules. The 50% wear line just above the tire size—if the top of the tire meets the wear line, it is time to replace them. Tears or flat spots on the surface of the tires. The blade or shank isn’t straight. The fork angle from blade to the shank is not straight. The positioning lock isn’t in working order. The fork blade shows signs of wear. There is wear on the fork hooks. The fork marking is not readable. Seat belts and similar restraints are torn. Horns and backup alarms do not sound when the forklift moves/reverses. The fire extinguisher has expired—the seal on the neck has weakened. Warning lights do not flash. Directional signals and brake lights do not light up. Abrasions; blisters; nicks; cracks; cuts; hardness, or color changes. Leaks—look for puddles of fluid around the equipment, low fluid levels in the reservoir, or greasy/dirty hoses. Contact with other hoses or metal parts. Close proximity to a high heat source. Twisting or kinking–make sure there is enough slack to allow for length changes under pressure. Make sure the fuel tank is not dented in any area. Make sure the fuel tank is secure, the valve open, and check the fuel level. Check the hydraulic tank’s oil level and for any leaks. The air cleaner indicator—clean or change it as needed. The radiator’s coolant levels and for leaks. Make sure the overhead guard isn’t damaged. Improved use of in-shop maintenance personnel with less emergency work. Increased control of spare parts inventory and reduced parts usage. Less downtime with equipment that is being repaired with scheduled inspections. Increased life expectancy of forklifts and other equipment. Fewer costs given to premature purchases of new equipment. Reduced repair costs from less frequent equipment breakdowns. Reduced number of injuries and fatalities. Your sound judgment combined with regular checks will ultimately determine when your forklift needs repaired and replaced. Hopefully this blog points you in the right direction! 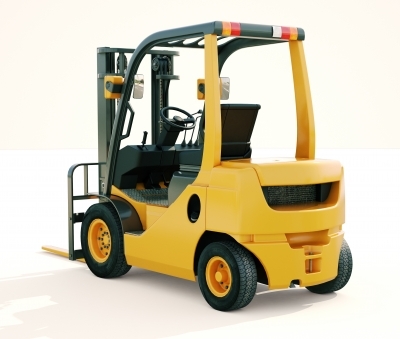 Safety is related to proper forklift maintenance – in fact, they often go hand in hand. CertifyMe.net offers outstanding training for all skill levels of forklift operators. Our training modules feature a 100% pass rate and have been used by many well-known companies, including Harley-Davidson, Jenny Craig, Siemens, Fuji Film and others. To speak with a CM training specialist, please call (888) 699-4800. Our contact page also has valuable information for anyone looking to become OSHA-certified today.